What to know: Quite an emotional history lesson showing the painful impact of the drought during the Great Famine in Ireland. Highly recommended! This short film from the U.K gives quite an emotional history lesson. It shows the often painful impact that drought and other factors can have on a country's population. This is a topic that seems very relevant today, particularly in light of climate change problems. 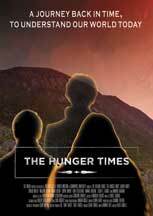 Two youngsters from modern day America are magically transported into the past, to experience first-hand what the Great Famine was like in Ireland. They are led around by a barefoot guide. They meet a family who has fallen upon hard times. They also run across Frederick Douglass (an escaped slave from America), who comments how the earth has given up on its people at various times and in various places. This is quite well produced with excellent cinematography, audio recording, lighting and acting. The visuals are certainly one of the most compelling I have seen in a while with beautiful shots of the country side, re-enactments from the past, and appropriate use of graphics. All the actors are well cast and deliver quite believable performances. I am quite impressed by the caliber of the film and look forward to more from director Keith Farrell, a seasoned director of docudramas on historical topics. This movie teaches how museums might offer many insights into the history of the world. It's like a step up from being an armchair traveler. There is a beautiful combination of black and white drawings, sculpture, paintings and panoramic views of the Irish countryside, depicting the people's struggles during the famine period. A nice surprise occurs at the end when the young 21st Century girl learns about connections between generations of emigrants and immigrants. My favorite part is when we witness the bravery of a poor Irish boy, Patrick, who comes to the USA alone. One of his first challenges is too learn to speak English, so he'll have a better chance to find work and thrive. The message of the film becomes clear when their guide pauses her stopwatch, as the 21st Century kids ask irrelevant questions or have complaints about being on this tour. The implication is that we shouldn't waste time with trivial points; life is too short for that. I give this film 5 out of 5 stars and recommend it for ages 8 to 12. Reviewed by Jeff M. and Julie S., KIDS FIRST! Adult Jurors. Two children born in the 21st Century go back in time to witness the Irish famine first hand meeting a child their own age and learn how the great hunger still resonates with us today.